Do you need new keys for your house? Does someone have a key to your house that shouldn't? The fastest and most cost effective way to stop the unwanted person from accessing your house is to give us a call and have us attend your house to change the locks for you. You will have peace of mind knowing that you can sleep at night without someone easily accessing your home with a key as once we change the locks you will be issues with completely new keys with a new combination. -Your keys have been stolen or your house has been broken into and the keys taken. -Someone has made a duplicate copy of your keys without approval. -Keys that were given to someone haven't been returned to you. -Just moved into a new property. You never know who previously had keys and what their intentions may be. There are many other reasons also so better to be safe than sorry. Our prices are very affordable and we charged fixed rates, this way you will know what the price will be to complete the job. No bill shock is a great thing. Locked Out of Your House and need to get back in? We can get you back in to retrieve your keys fast and relatively cheap too. locks stopping any existing keys from working. opening the door or allowing them access. Intercom systems remove the chance of opening the door to unknown visitors and unwanted visitors. This is the best way of screening who is attempting to enter your property, allowing you to avoid any confrontational situations. We provide intercom systems ranging from single button audio systems to touch screen and audio systems. 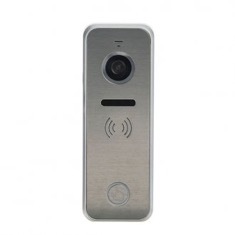 Smaller systems are a cheaper option and ideal for those looking to add security to the home, while the video option can be paired with fob access, increasing the security of any commercial building. We install, repair and maintain all makes of intercom entry solutions on the Gold Coast and surrounding areas. Imperial Locksmiths can find a professional solution for your site based on the access requirements of key holders/staff and also the specific doors and access points in your building. be viewed through the software. We operate throughout Southeast Queensland covering the Gold Coast, Logan and Brisbane. So if you need a professionally installed system to secure and control your site, doors, lift, gate, boom, self storage or 24 hour gym. Being local we can offer a fast and reliable service in your area for the following services and more. Fast Mobile Service if you're Locked out, i will get you back in and on with your day with professional service and a competitive price. any unwanted intruders that could still have a key to your new house.